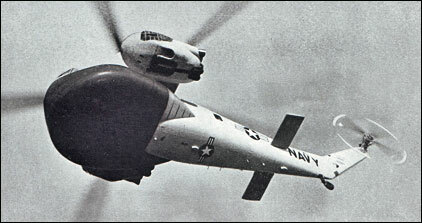 Some of the S-56 aircraft ordered by the Marine Corps were converted into radar patrol craft (military designation HR2S-1W), with a bulbous dielectric radome under the nose, but this transformation was unsuccessful. 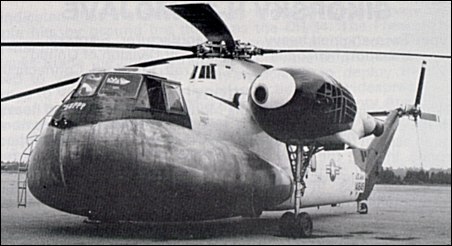 The most obvious visual difference between the CH-37 and the Navy HR2S- 1W prototype was the latter's huge chin radome covering the AN/APS-20E search radar. The Navy ultimately abandoned further development of the HR2S-1W because severe airframe vibration severely degraded the radar's performance. This is one of two Navy HR2S-1W helicopters configured for the Airborne Early Warning (AEW) role. The aircraft was not successful in the radar surveillance role mainly because of the vibration inherent in rotary-wing aircraft. A horizontal tail surface was fitted to the right side with the anti-torque tail rotor on the left side. TO JOE MOUNT. MY DAD PAUL E MAYER AND BILL QUICK HAD THE CRASH IN 1958 IN THE POTOMAC WITH THE HR2S. NO ONE KNEW THEY WERE IN THE DRINK UNTIL THE NEXT MORN WHEN A PASSING BOAT HEARD THE SCREAMING IN THE WATER. I HAVE ALL THE OFFICIAL NAVY FOTOS,PAPER CLIPPINGS AND FILED REPORTS. THE COMMANDANT OF THE MARINE CORPS WENT TO VISIT MY DAD IN THE HOSPITAL RECOVERING FROM A BROKEN BACK AND WAS IN A BODY CAST. WITH THIS BROKEN BACK AND TORN ANKLES, MY DAD WAS PULLING OTHERS OUT OF THE WATER ONTO THE FLOATING WRECKAGE. WRECKAGE FOTOS ARE UN BELIEVABLE. I was stationed at Patuxent River from Oct 1957 until October of 1959. I had one flight in an HR2S-1W. I was involved in the construction and testing of a system designed to evaluate TACAN systems at various Naval Air Stations.On one particular day the only available platform for a flight happened to be the HR2S-1W. As it happened that day was a windy ,cloudy day. We flew to an outlying field (Webster field) near Pax River and began our evals. Because of the wind ,when we flew radials over Webster field, we could only maintain about 30 knots into the wind and probably sixty when flying downwind.After a number of passes over the field, the pilot decided that it was just too much of a hassle to continue so we headed bact to Pax. Daniel Rusanowsky retired service school instructor Sik Acrft. You are correct, it was one of two modified Marine Duces HR2S (S56) for weather tracking and were to be stationed in Alaska. The aircraft was at PAX river and crashed while flying dead mans curve flights, chopping power at different altitudes on take-off to see if it could be landed safely. There were a lot of other parameters involved in this Test.As I recall the name of the Sikorsky test pilot that died in the crash was Furgason, FURGY.For further info go to the Sikorsky Archives www.sikorskyarchives.com. Daniel Rusanowsky retired service school instructor Sik Acrft. I remember seeing this helicopter at NATC/NAS Patuxent River, MD while it was undergoing evaluation (I believe it was undergoing BIS trials). It WAS ugly and didn`t look like it was air worthy; cumberson seems like a good word. If memory serves me right, I believe one crashed at PaxRiver around `58 or early `59, right? Let me know as I have been curious about this chopper for quite some time. Do you have any comments concerning this aircraft ?